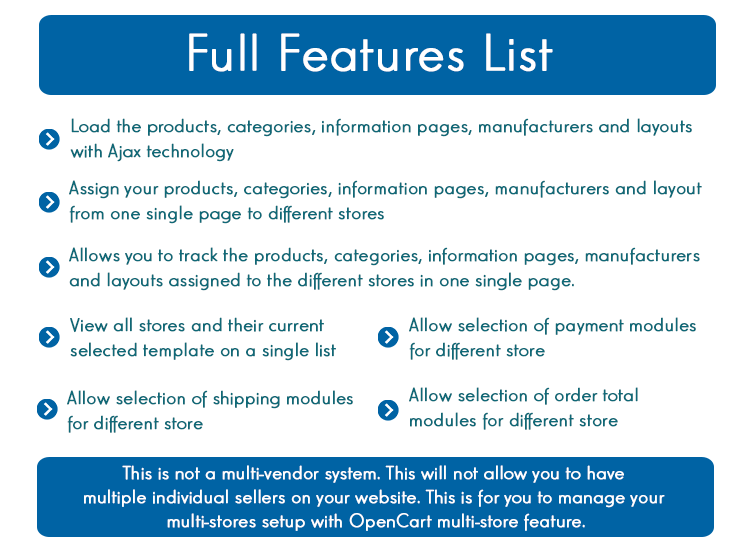 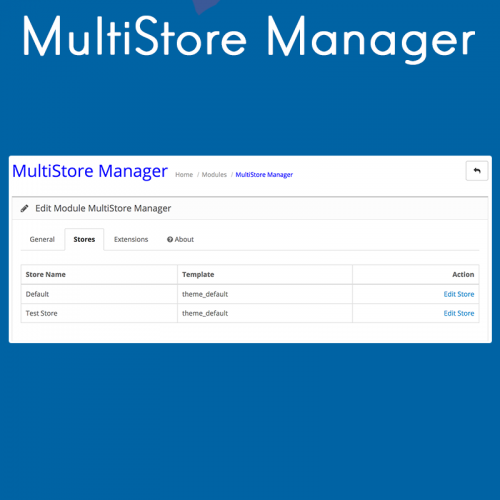 Multistore Manager allows you to assign all your products, categories, information pages, layouts, and manufacturers from stores to stores all on one single page. 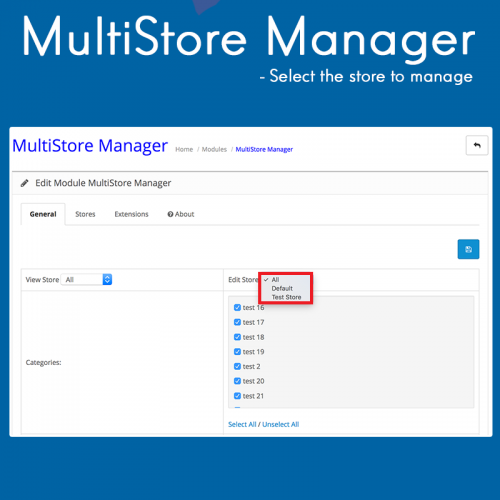 This will save you the trouble of needing to manually modify each of the layouts, products or categories whenever you create a new store. 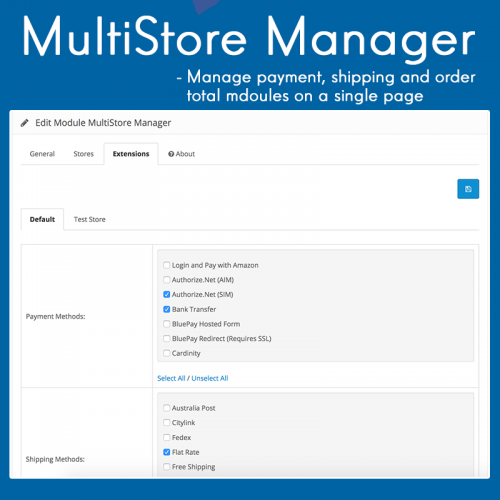 Additionally, you can restrict the shipping methods, payment methods, and order total modules to each individual store.